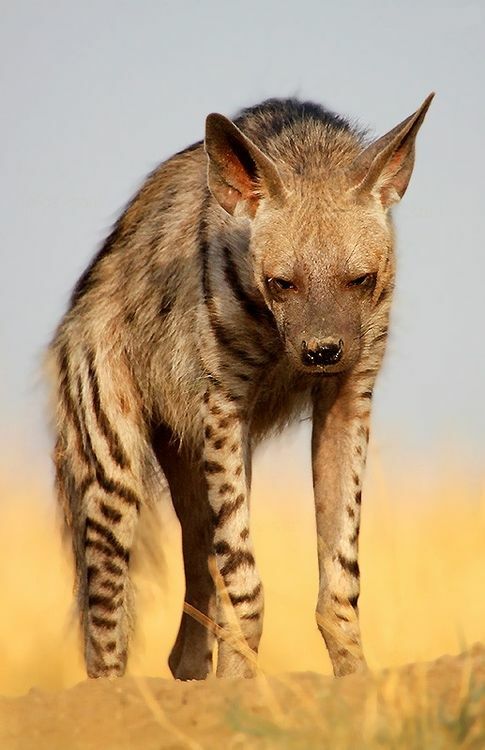 The striped hyena (Hyaena hyaena) is a species of true hyena native to North and East Africa, the Middle East, the Caucasus, Central Asia and the Indian Subcontinent. It is the smallest of the true hyenas and retains many primitive viverrid characteristics lost in larger species, having a smaller and less specialised skull. Though primarily a scavenger, large specimens have been known to kill their own prey, and attacks on humans have occurred on rare instances.